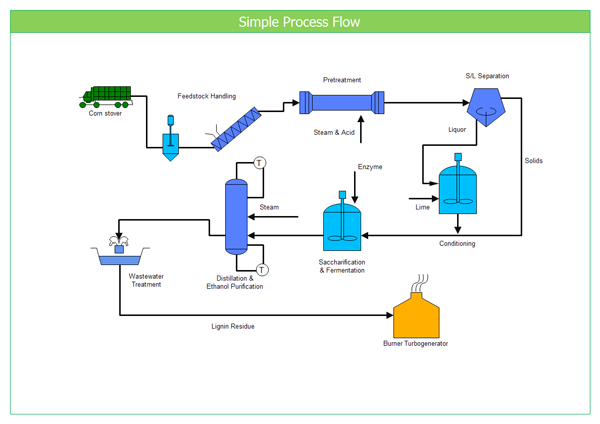 Process flow diagram (PFD) is used in chemical and process engineering. This kind of diagrams show the flow of chemical materials and the equipment involved in the process. In other words, a process flow diagram shows the relationships between the major components in the system. Generally, a PFD shows only the major equipment and doesn't show details. A PFD does not show minor components, piping systems, piping ratings and designations. PFDs can be applied in visitor information and new employee training. Discover why Edraw is the simplest and easiest, yet most powerful PFD maker: Download it Now. 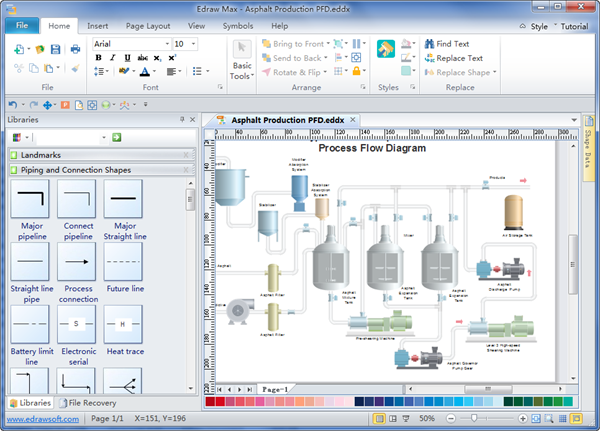 Edraw is dedicated to simplifying the process to sketch and share PFD (process flow diagram). It is professional and powerful software with easy and user-friendly interface which is similar with MS Word and supports drag and drop function. Included are many predefined vector PFD symbols for quick creation of PDFs. The full color, SVG shapes and vivid clipart, are all provided for an incredible, immersive visual experience. Simply drag and drop symbols, apply built-in designed themes, and automatically share your finished fishbone diagrams into a presentation or PDF by only one click. The following features are beyond your expectation and will lead to results more than you expect.